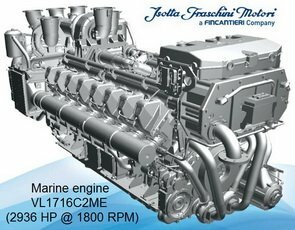 Since 1904 Isotta Fraschini has produced diesel engines for marine, power generation, automotive, industrial applications. The company main goals are quality and product reliability. Isotta Fraschini is a company offering ideal efficient solutions always warranted by a qualified and certified UNI EN ISO 9001. 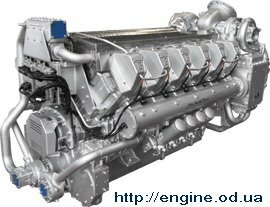 New Isotta propulsion engine V 1712 C2 MLH Marine Diesel Engine, four-strokes cycle diesel engine, Bosch high pressure common rail fuel injection system, supercharging system with exhaust gas operated turbochargers and tube-type raw water / charge air intercooling, engine cooling system designed for fresh water / sea water keel-cooling type heat exchanger with integrated header tank and thermostatic control, thermal insulated exhaust gas manifolds. Visit http://www.isottafraschini.it for more information.